As part of taking a positive approach towards parenting we previously discussed understanding your toddlers’ temperament. 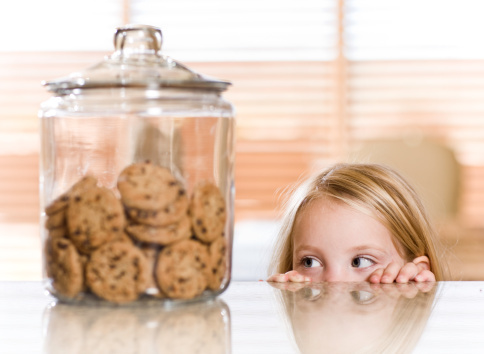 In this article, we follow the same approach and why try to understand our toddler’s impulse control; in other words, why toddlers can’t seem to stop themselves. Even though it may seem at times that your child doesn’t listen to a word you say, remember that your child isn’t out to get you. If you sometimes feel that your child just can’t seem to control his actions, you’re probably right but it’s for a good reason! That’s because at this young age your child is still beginning to develop impulse control, which is a person’s ability to suppress or restrain himself from doing something, like concentrating on your work while shutting out distractions. It also includes the concept of delayed gratification which is the ability to wait in order to get something you want. Why do toddlers seem to lose control and “not listen”? As a parent you may be thinking that your toddler has difficulty restraining himself or waiting for things and you have a point! That’s because these abilities depend on a part of the brain called the frontal lobes, which develop slower than other parts of the brain. By age two development is underway but won’t be well developed till age 7, some reports even state that it continues to it’s mature form by the age of 21. As a toddler, your child is struggling to control his emotions and actions. Lack of impulse control is what causes your child to reach for the remote yet again even though you already said “No” several times. It’s when your child persists to want the cookie NOW! And when emotions become too hard to handle and result in tantrums. Understanding what your child is and isn’t capable of can help you have appropriate expectations and result in fewer situations of conflict between you and your child. So why is impulse control important? Won’t most children outgrown this phase? Yes, most children will, however the quality and their ability to regulate their emotions and actions depends largely on their experiences as young children. It’s the difference in early experiences that will result in developmental differences later in life. A classic study called the Marshmallow Test was conducted where 4-year olds were asked to stay in a room for a few minutes with a marshmallow and not eat it. They were told if they didn’t eat it by the time the observer came back, they would get the marshmallow in addition to another one. Of course, some children ended up eating the whole thing as soon as the observer left and never looked back. However, there were those who waited and got them both. The interesting part is that years later researchers caught up with the same group of children, who were now in their teens. Surprisingly, those who had controlled themselves and waited as children were more self-confident, popular among peers, able to cope better with frustration and more successful in school than those who ate the marshmallow straight away. Set few clear rules: The more things are off-limits the more likely your child will end up misbehaving. Constantly saying “No” decreases it’s effectiveness when you really need to use it. Try to select few clear rules that cover safety and will allow your child to play and explore at the same time. Provide an appropriate environment:Now that you know why your child sometimes has difficulty controlling his impulses make sure your setting is child friendly. Put objects you don’t want him to touch out of reach and bring along a story or box of crayons when going out to give your child age appropriate alternatives. Remind him of the rules: Don’t anticipate misbehavior but remind your child positively about what is expected of him in certain situations. For example, explaining that she can help you find the items in the supermarket but no running down the aisle. This way you positively redirect your child and give her an alternative. Practice turn taking: Whether it’s with you or a sibling, encourage your child to wait for his turn. This will help foster impulse control as your child eventually learns to trust the situation and that he will get his turn. Remember to always follow through or give an honest explanation if you can’t. Play games that take time: Doing puzzles or using building blocks can help your child learn patience as she works to reach her desired goal. I hope this article helps you understand your child’s developmental abilities to control his impulse. Remember that when your child feels overwhelmed, sometimes comfort is more effective than correction. The first article in the Positive Parenting series I am writing for SuperMama. Click for the English and Arabic versions of the article. Ask any parent and they’ll tell you the joys of being a parent are priceless. Still, parenting is one of the toughest jobs out there. Understanding your child’s behavior can help make everyday situations and disciplining easier for you. The first step to that is understanding your child’s temperament. Temperament isn’t something your child chooses or that you created. Each child is born with his own natural style of interacting with the people and environment around him. This uniqueness is evident from birth; some babies are quiet while others loudly demand attention. Children in the same family can have different temperaments as well. These temperamental differences mean that each child has different needs and parenting can’t be a “one size fits all” scenario. 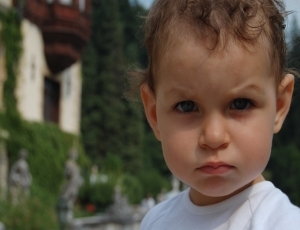 Temperamental traits usually stay with the child into adulthood and differs from personality. Recognizing your child’s behavioral patterns that are influenced by temperament can help you anticipate your child’s reactions to certain situations. Additionally, it can help you decide on the best way to deal with your child’s needs. There are generally three different temperament types. Most children can easily fall into one of these categories while others show a combination of these patterns. Easy or flexible children are usually happy, calm, adaptable, have regular sleeping and eating habits, a generally positive mood and are interested in new experiences. What you can do: You may need to make special time to talk about your child’s feelings since your child might not naturally demand that due to her easy style. Make sure you spend enough play time and talk to your baby who may be naturally quiet. She will still need all the early experiences of social interaction and communication to help her develop. Active or “difficult” children are often active, fussy, more likely to be irregular in feeding and sleeping habits, are more fearful of new people and situations and are easily upset by noise and commotion. What you can do: Give your active child opportunity to work off his energy. Give choices (usually limit them to two options) to reduce conflict. For example, give a choice of wearing the blue or red sweater while getting dressed. Make sure to prepare your child if the situation will change to make transitions easier. Such as, letting him know it’s almost bedtime and giving him time to prepare for that instead of expecting him to immediately put away his toys and go to bed. Try giving your child tasks to help move from one activity for the other. Such as, brushing his teeth before going to bed. Remember to explain to your child what’s happening, this can make activities like diaper changing and getting dressed much easier once your child knows what to expect and understands his role. Slow to warm up or cautious children are usually inactive, they tend to withdraw or respond negatively to new experiences. However, they slowly become more positive and adjust with continuous, positive and supportive exposure. What you can do: Your child may need more time to adjust to new situations and people. Make sure to give her enough support and time to feel comfortable enough to venture out. Change can also be difficult to handle, try to give your child enough notice that a situation will be changing. For example, let your child know when it’s almost time for dinner and she has to put her toys away soon, that way she has enough time to prepare herself to move on to the next activity. Routines are also important and a source of comfort, they help children feel in control of their surroundings. Remember not to force your child if she’s not ready. Comfort and support are much more effective ways to helping her feel secure enough to explore her surroundings. Avoid comparing him to other children. Remember that your responses can help adapt his temperament. A timid child can become more comfortable with a supporting parent. Communicate limits and decisions clearly. Involving your child in setting rules will help make routines and transitions easier as well as help your child develop self control. Be aware of your own temperament and try to adjust yourself to your child. This doesn’t mean changing who you are, but realizing that your child enjoys experiencing the world in a different way. 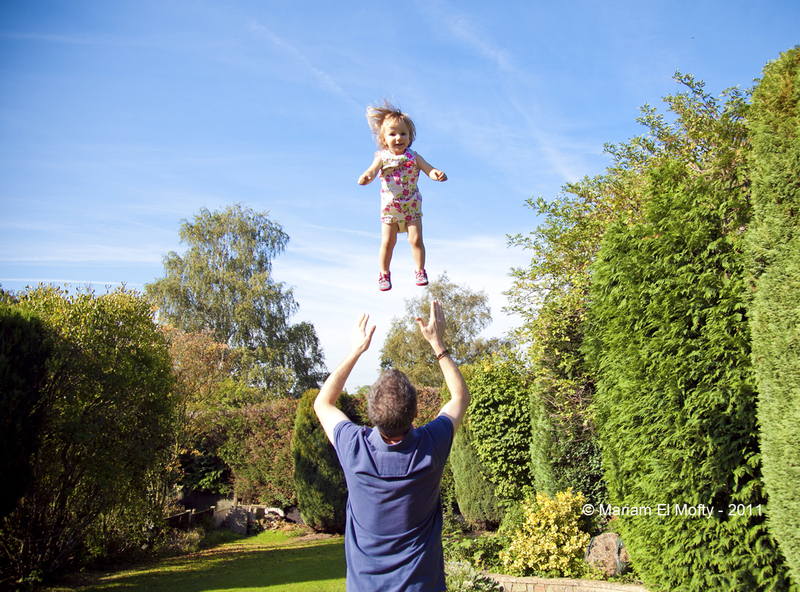 Finding activities to bond and understanding your child’s actions which are very different from your own can be a struggle. Those feelings are OK and it’s important to communicate them with your partner. Remember that there is no “right” or “wrong” temperament. Even though some temperaments might be easier to deal with than others, it’s still one of your child’s unique qualities. It’s important that your child feels loved the way she is. Remember, the goal isn’t to change your child, but to help nurture her unique strengths and to deal with difficult situations.